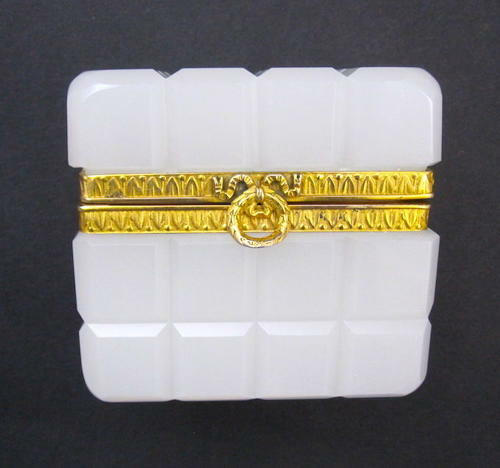 Antique French Palais Royal White Opaline 'Bulle de Savon' Glass Casket with Dore Bronze Mounts and Bow Clasp. The Chiseled Diamond Pattern of the Casket Box was very Popular during the Charles X era. The Mounts are Engraved with a Frieze of Leaves.